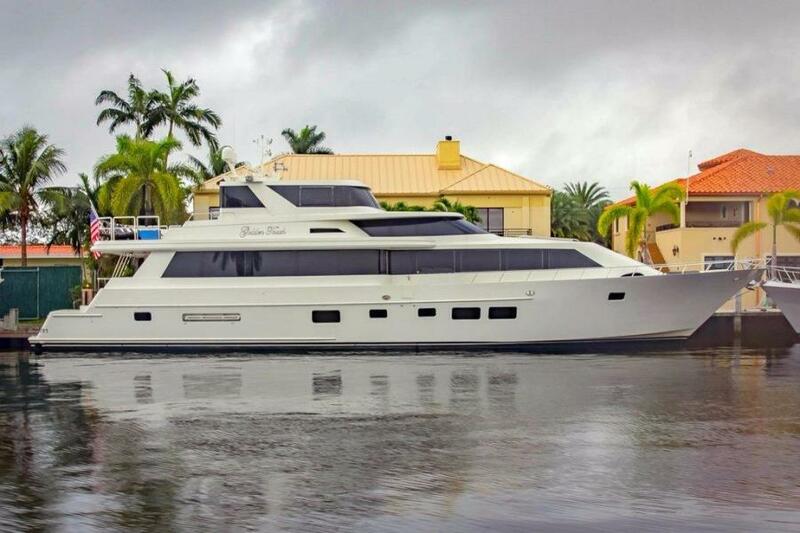 PRICE DROP OF $100 K - TO $2,150,000! 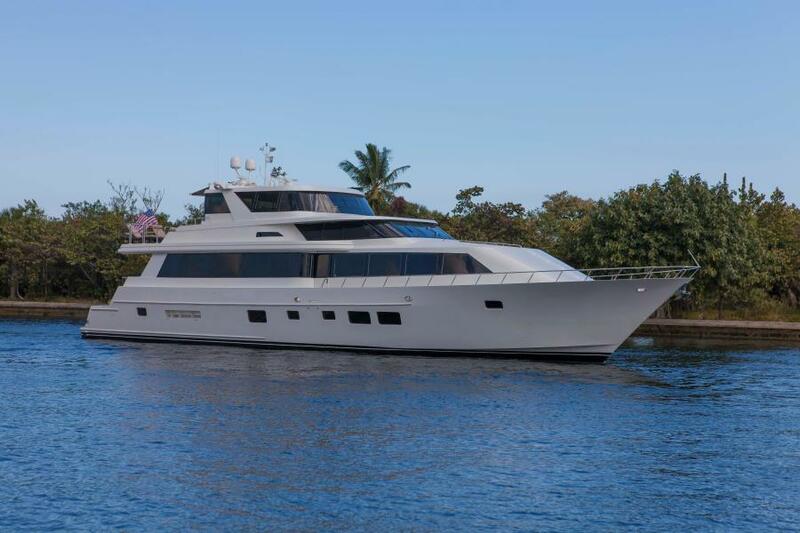 Owners have purchased a larger yacht, BUT ... ... willwork with buyer to continue profitable charter program RECENT REFIT: New paint, completely new country kitchen, new wood floors, new cabinets, and many other upgrades. 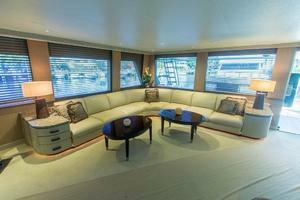 2008 refit of $300,000 + 2013-14 refit of over $800,000.Only model with enclosed F/B, with hardtop and sky lounge with seating for 14 people. 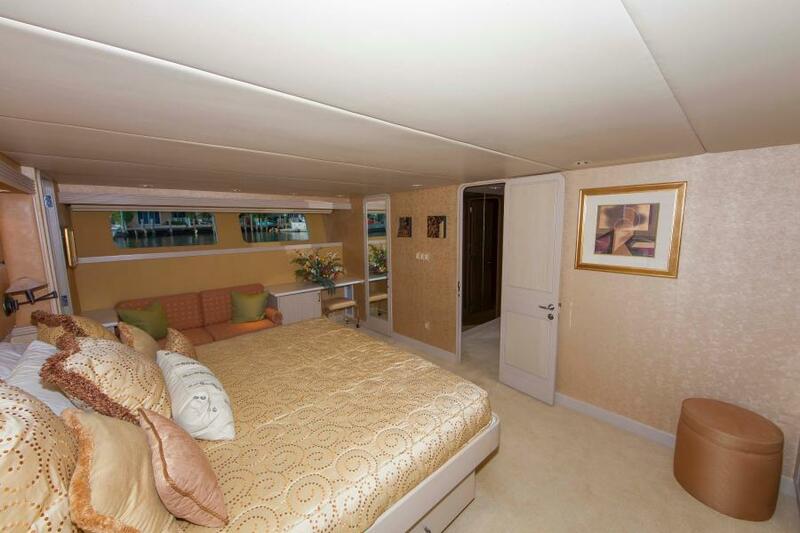 New carpet also installed in 3/2016. 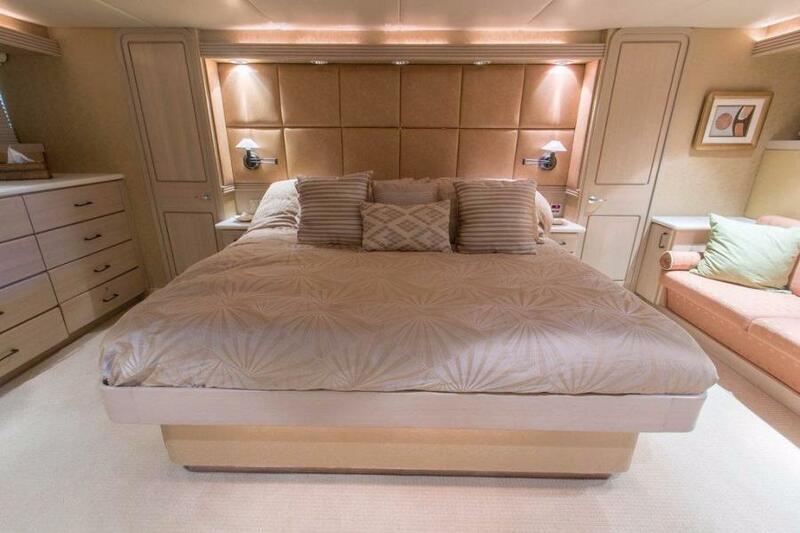 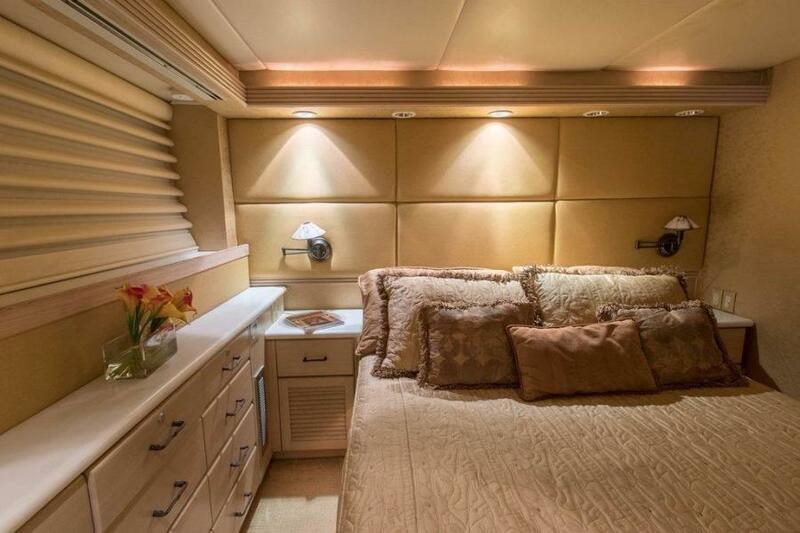 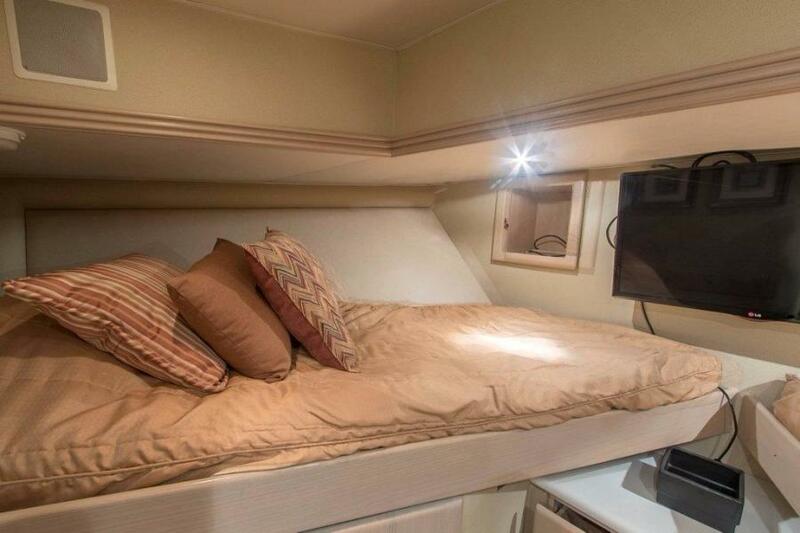 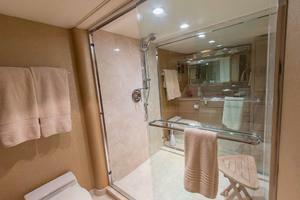 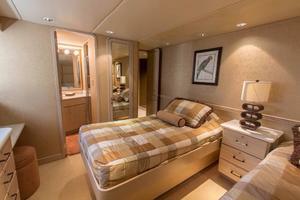 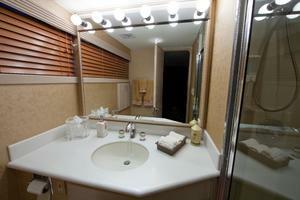 8 - 2' X 4' oversized portlights in all the staterooms make for a comfortable feeling below. 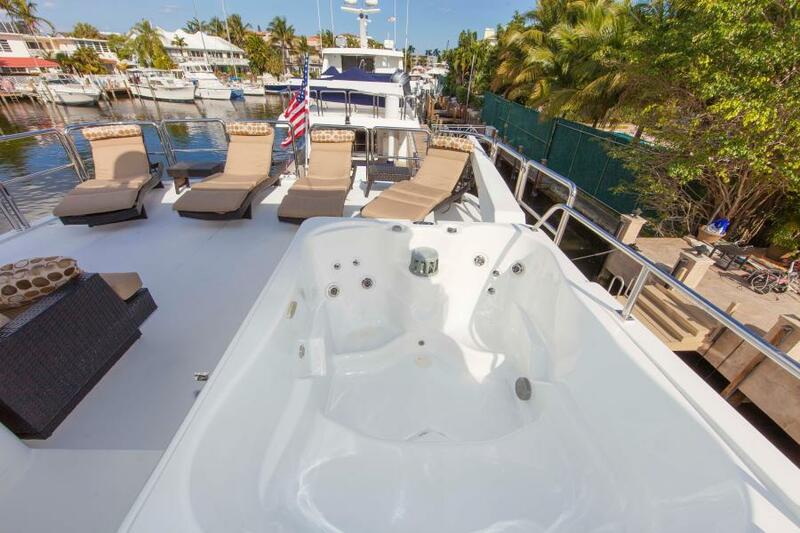 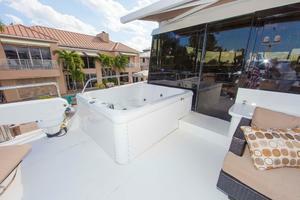 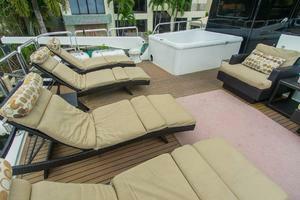 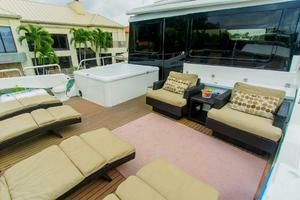 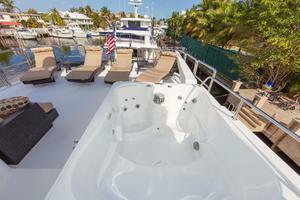 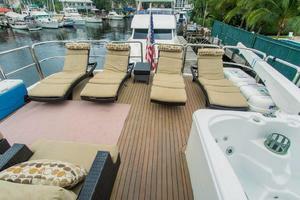 Jacuzzi on boat deck, with lounging area for 8-10 guests. Engines overhauled (zero timed) + complete AwlGrip paint job and many other upgrades. 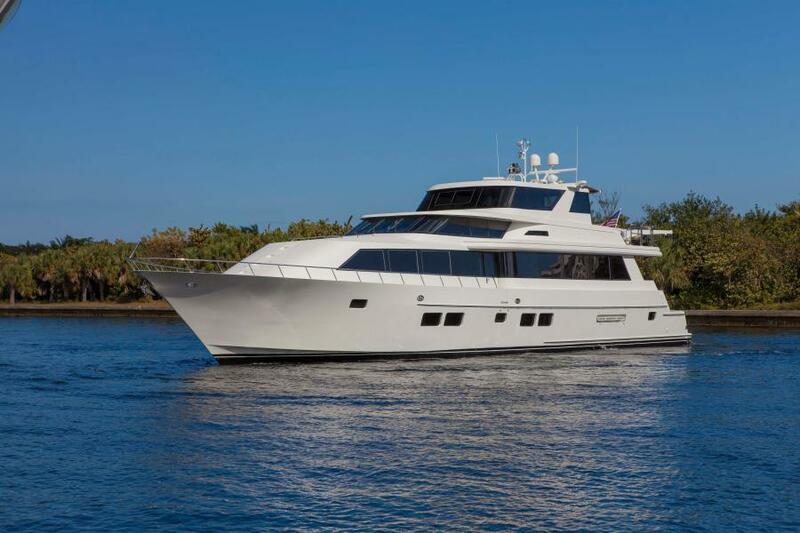 United Yacht Sales New Jersey would love to guide you through a personal showing of this 98' Westport/westship Cpmy 1992. 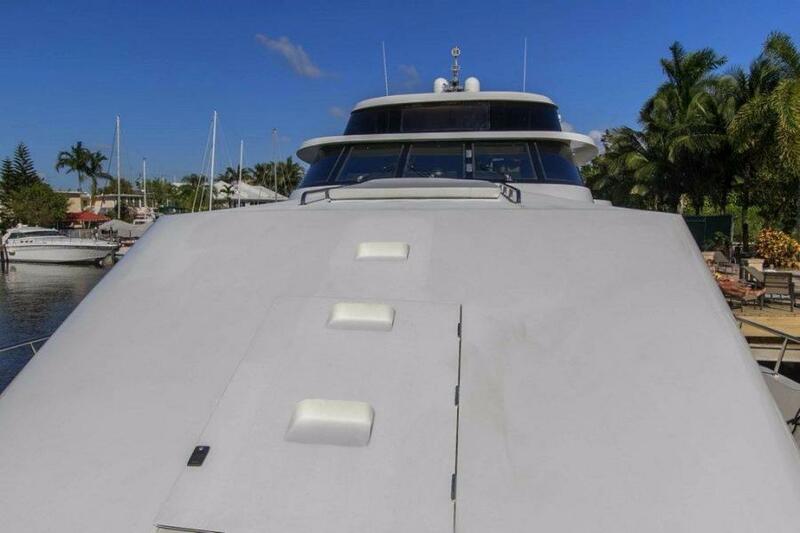 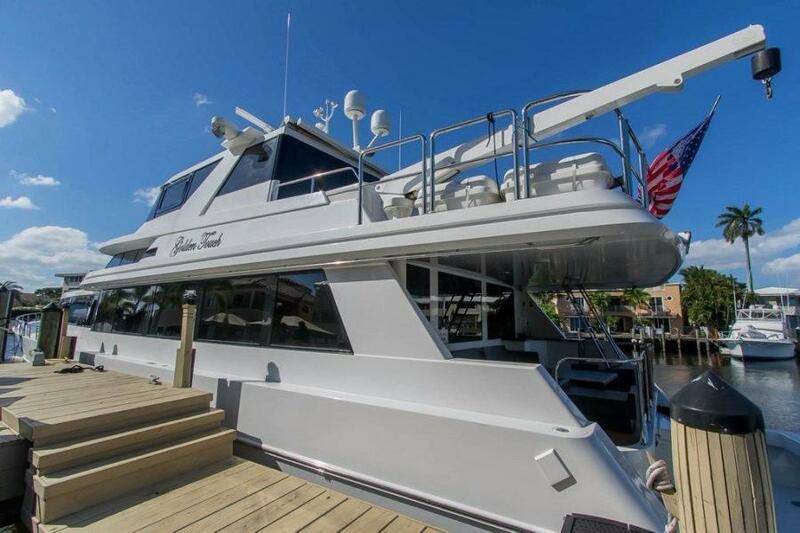 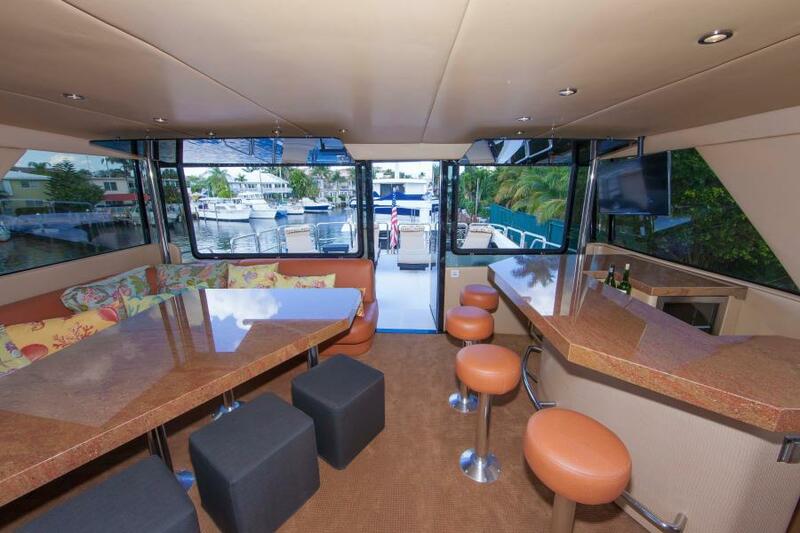 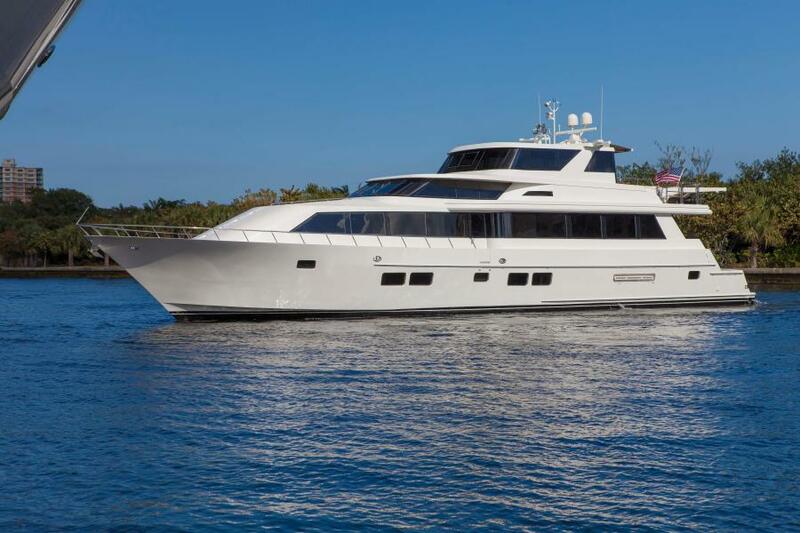 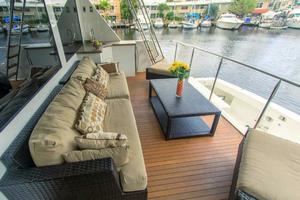 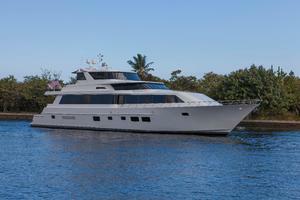 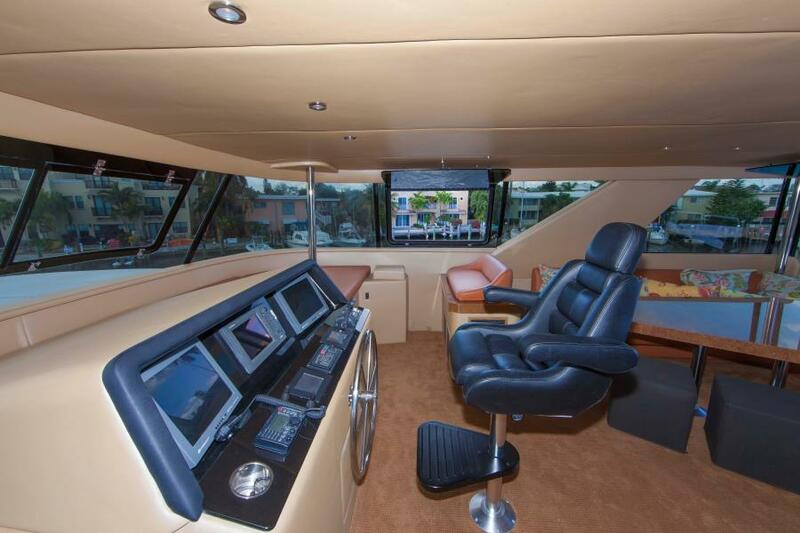 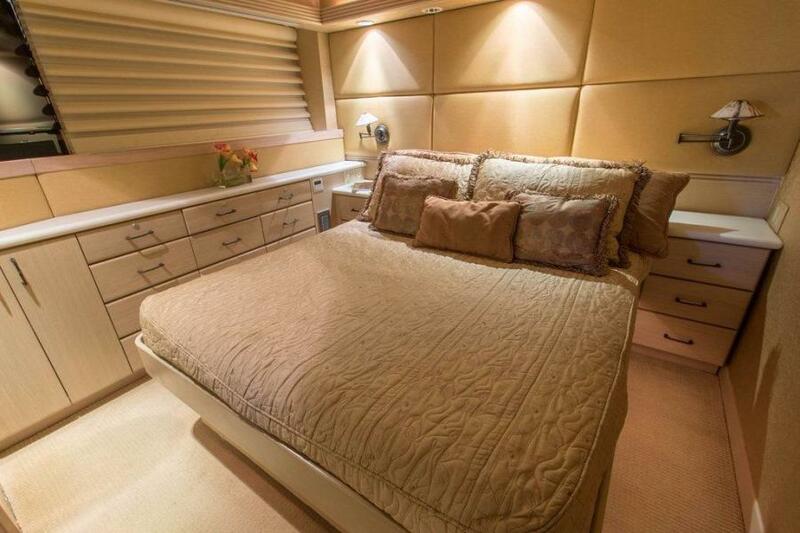 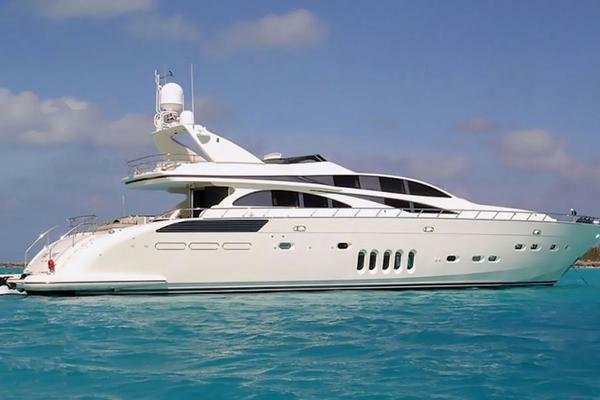 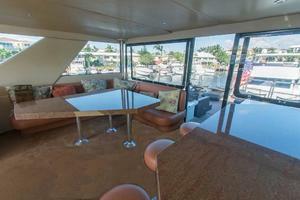 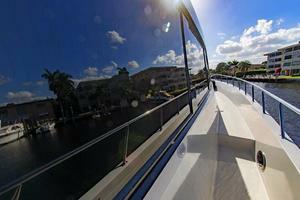 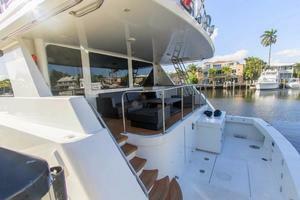 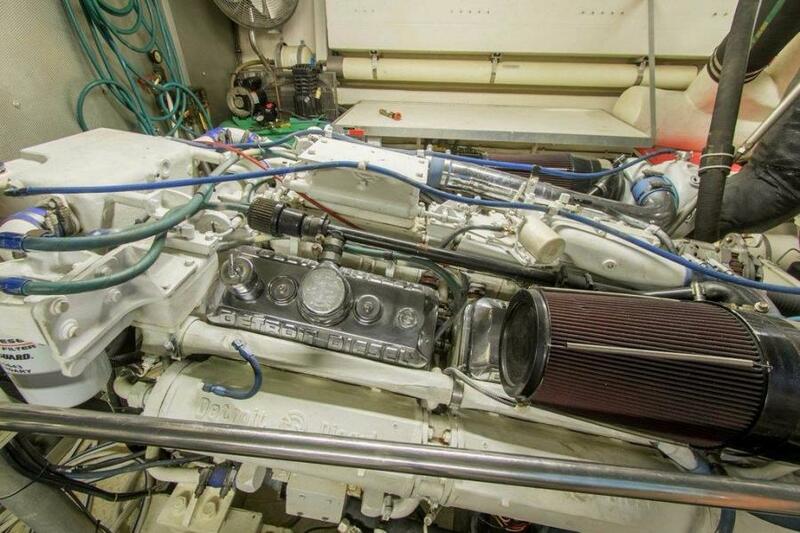 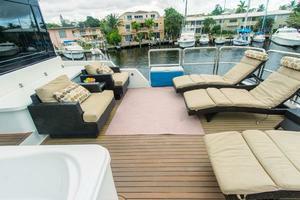 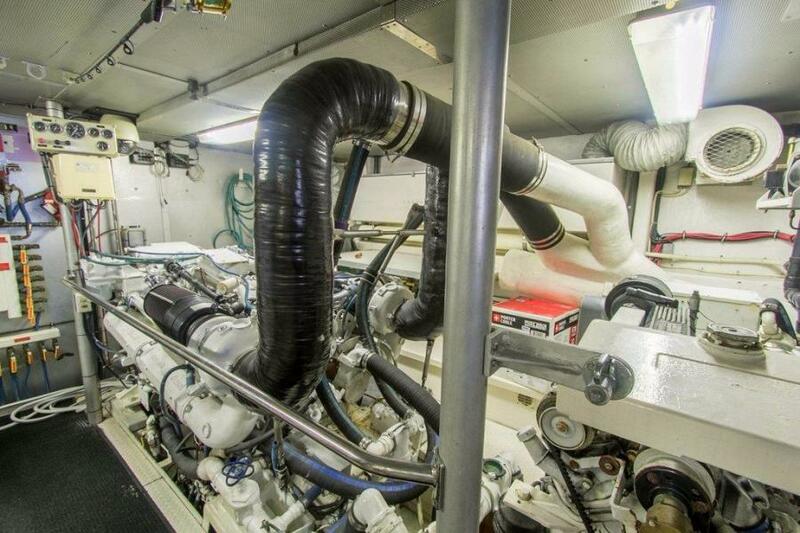 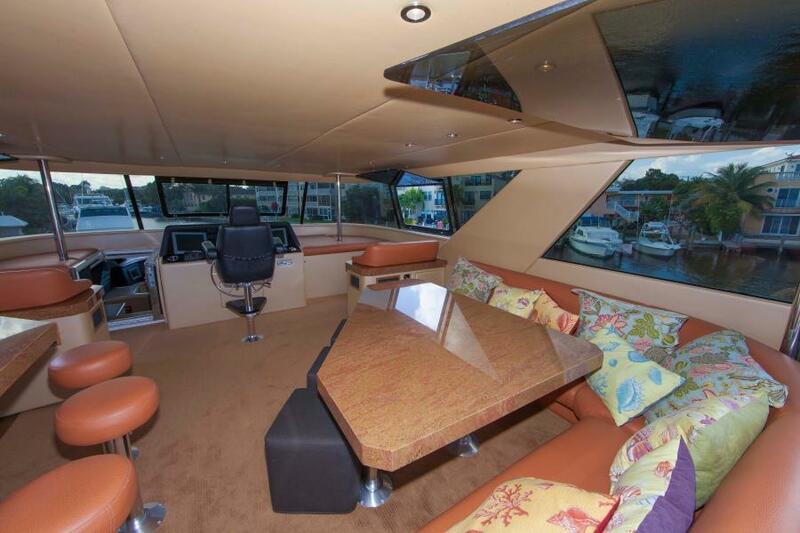 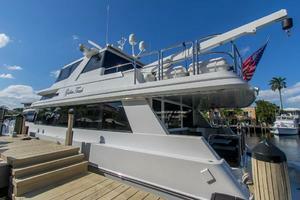 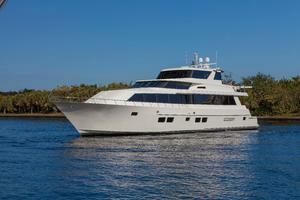 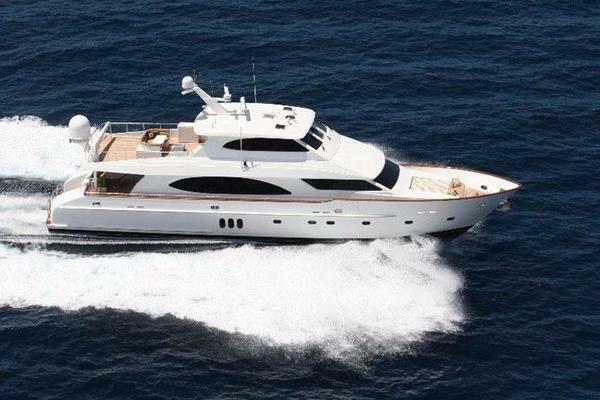 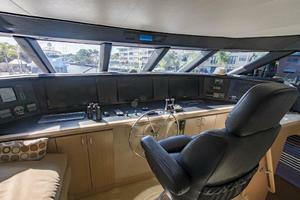 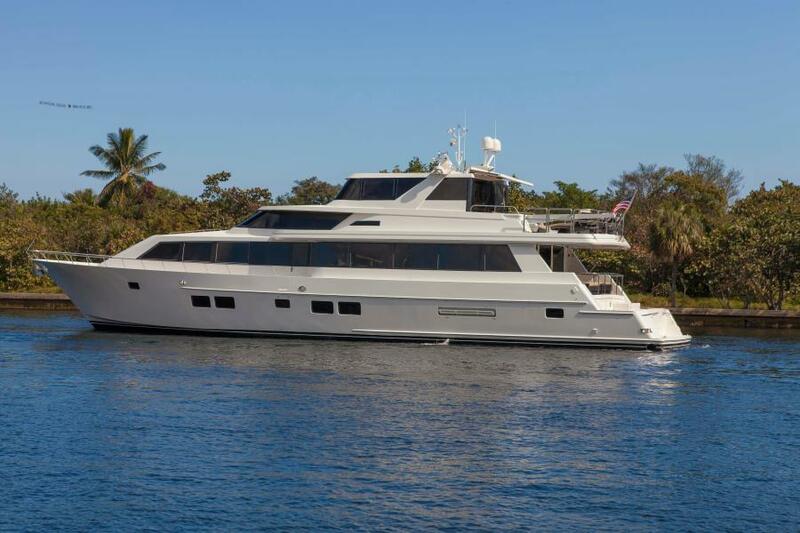 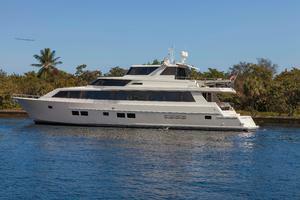 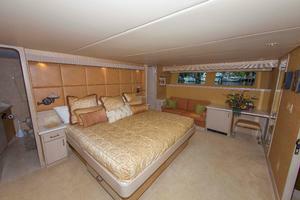 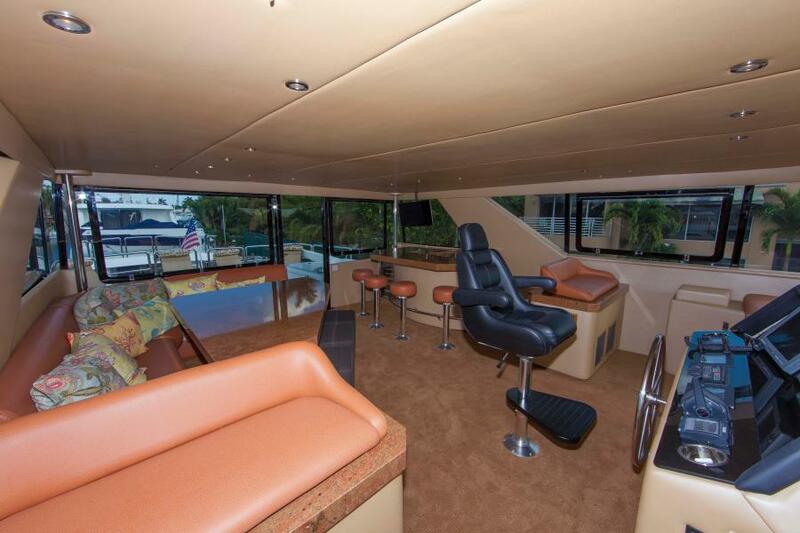 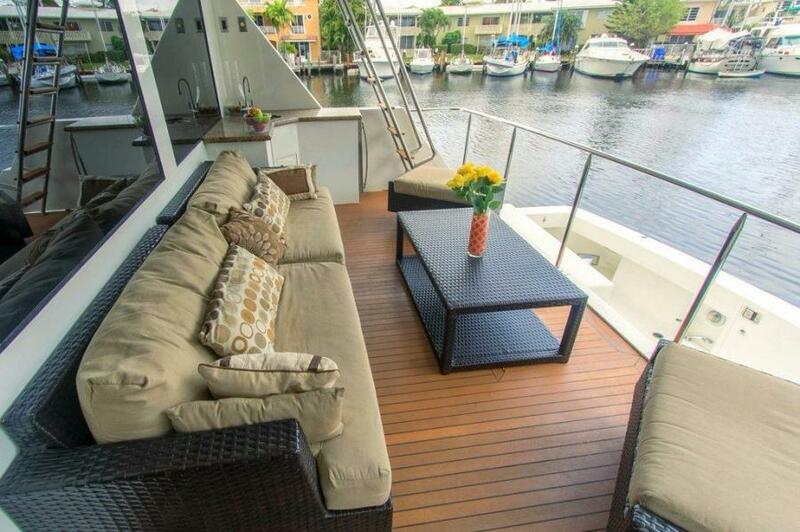 This yacht for sale is located in Fort Lauderdale, Florida and priced at $1,950,000. For a showing please contact us by filling out the form on this page and we will get back to you shortly! 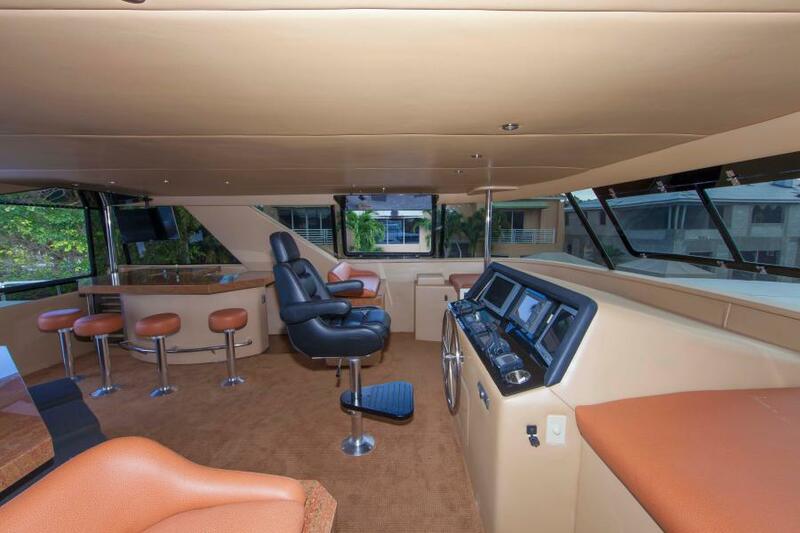 The FLYBRIDGE is accessed by a stairway from the PILOT HOUSE, and features waterproof and sunlight viewable monitoring/control touchscreens for the newly installed electronics, which include, among a host of other equipment, a back-up Furuno radar, depth sounder, and chart-nav unit. 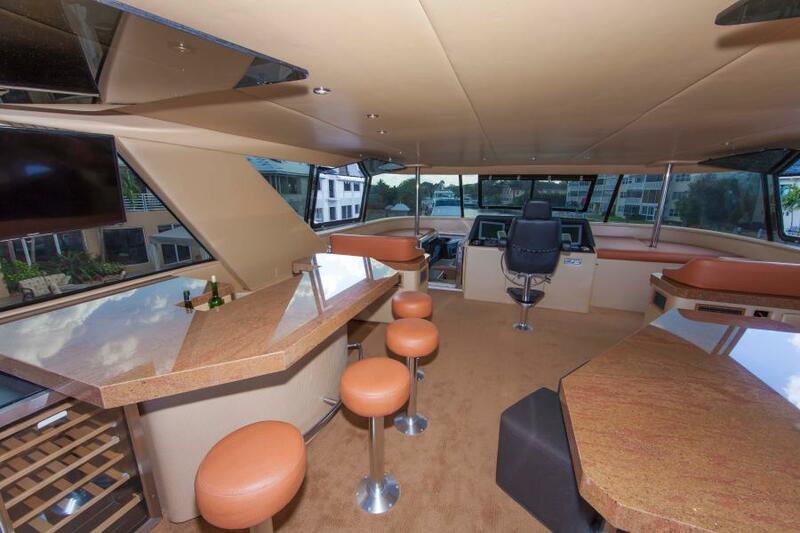 There are wing stations port and starboard, and the enclosed bridge has endergone a total refit to transform the FLYBRIDGE to a SKYLOUNGE, with a large, curved bar with four barstools on the port side. 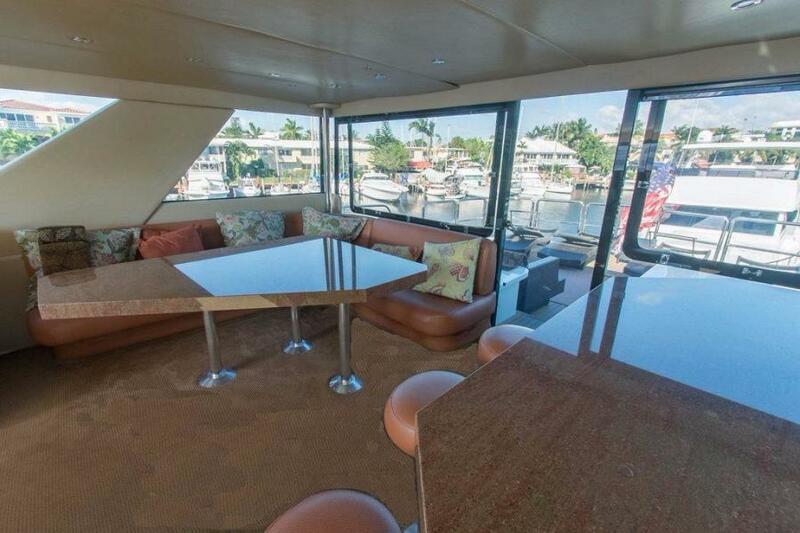 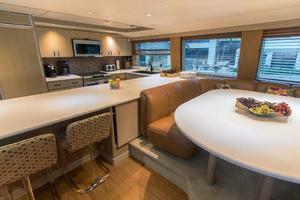 On the starboard side is an L-shaped seating area which serves well for dining, as well as morning coffee, while watching everything from the top of the yacht. 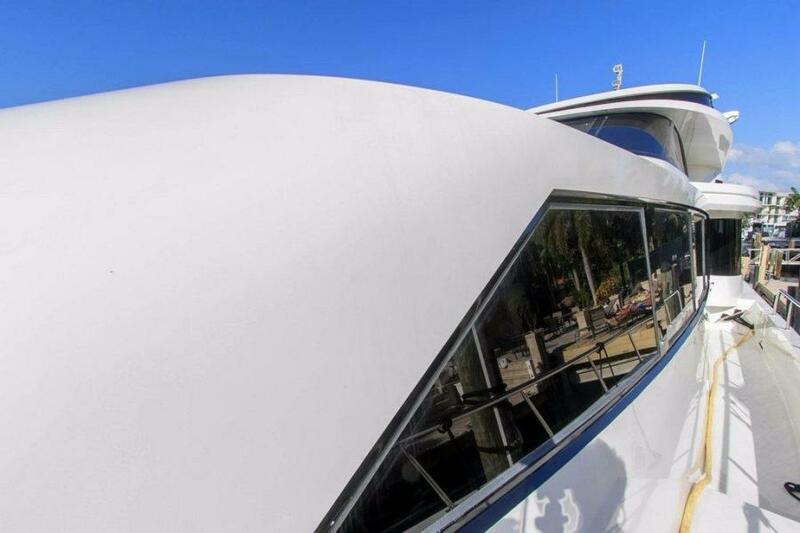 Through a glass door, you go aft onto the large, open BOAT DECK, which has a new Nautical Stuctures davit on the port side, to lift the JetSkis and toys off for fun in the sun. 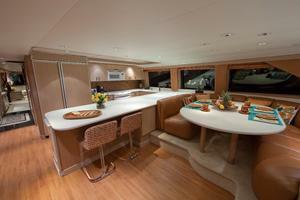 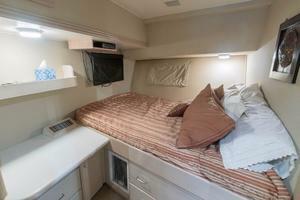 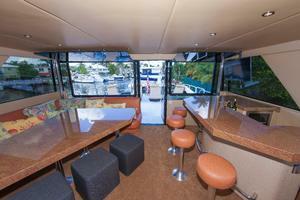 There is also a Pipewelders soft Bimini top to provide shade for cruising and dining. ENTRANCE DOORSare located Port and Starboard Mid-Ship, but let's begin at ... THEAFT DECKis approximately9 feet by 22 feet and has a teak deck with lounge furniture, ottoman, and a wet bar, making a perfect spot for watching the activity in the cockpit, and just enjoying the cruise. From the AFT DECK, there is a ladder to the FLYBRIDGE/BOAT DECK via a newly installed hatch. The COCKPIT is just a few steps down, and is designed for fishing, diving, grilling, and just fun. 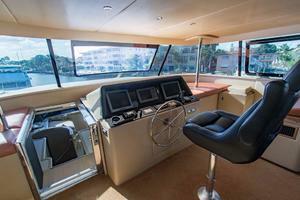 There is a Jenn-Aire Grill, Rod Holders for fishing, a control station, and plenty of storage under the teak deck. 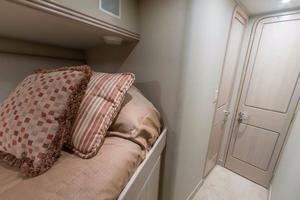 Through a transom door, there is access to the large SWIM PLATFORM. 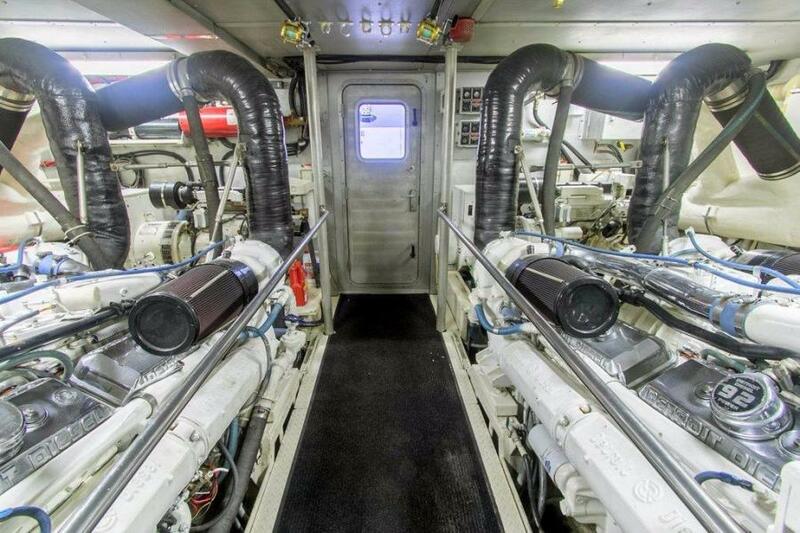 There are two warping winches, one each port and starboard to assist in docking and towing a smaller boat (not included). 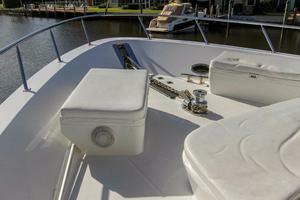 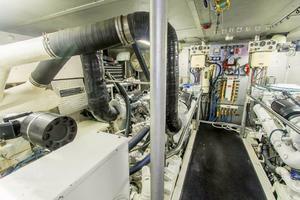 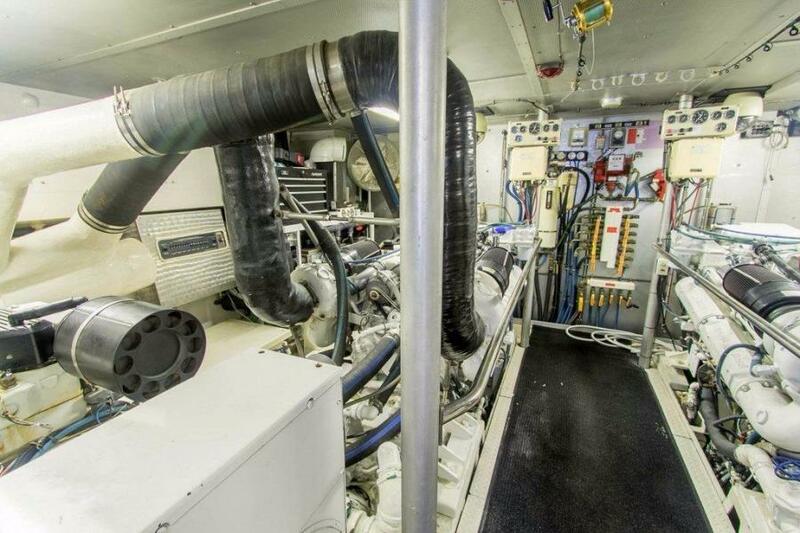 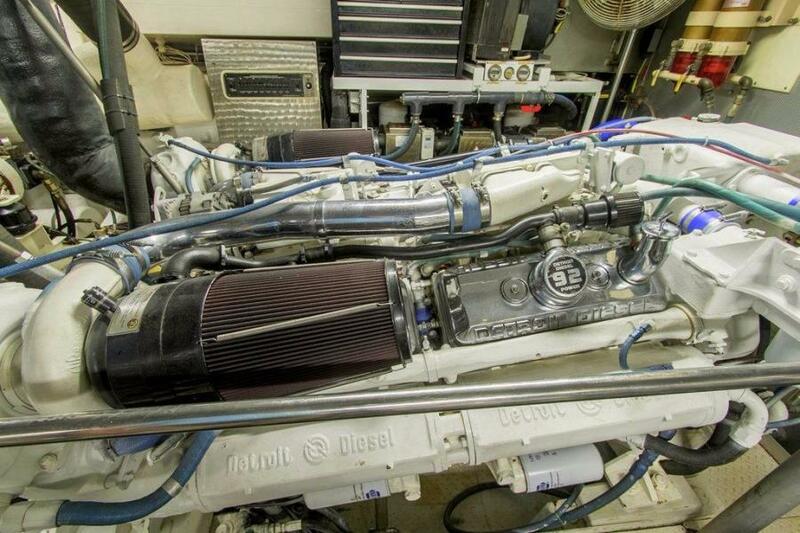 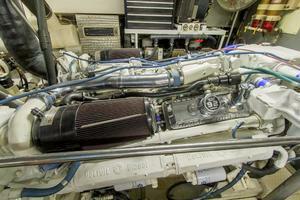 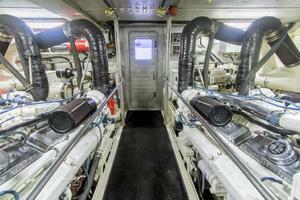 A 100 gallon gas tank supplies gas, and there is a hose that can supply diesel to fill other small boats. 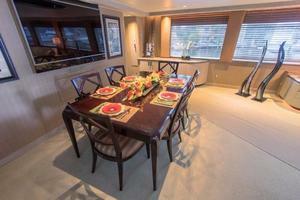 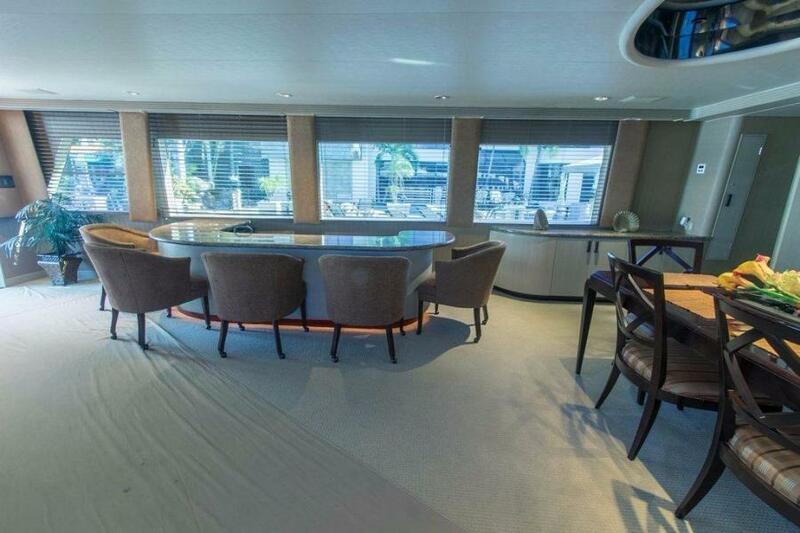 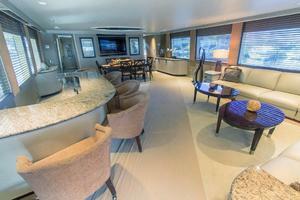 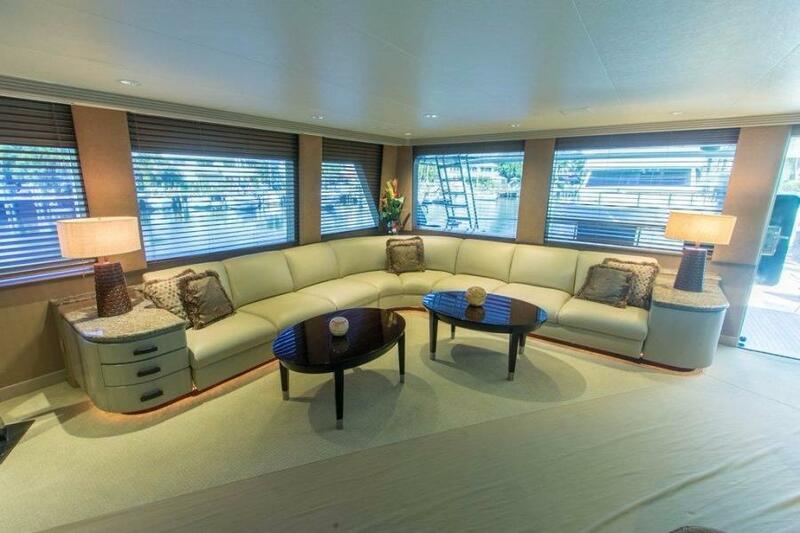 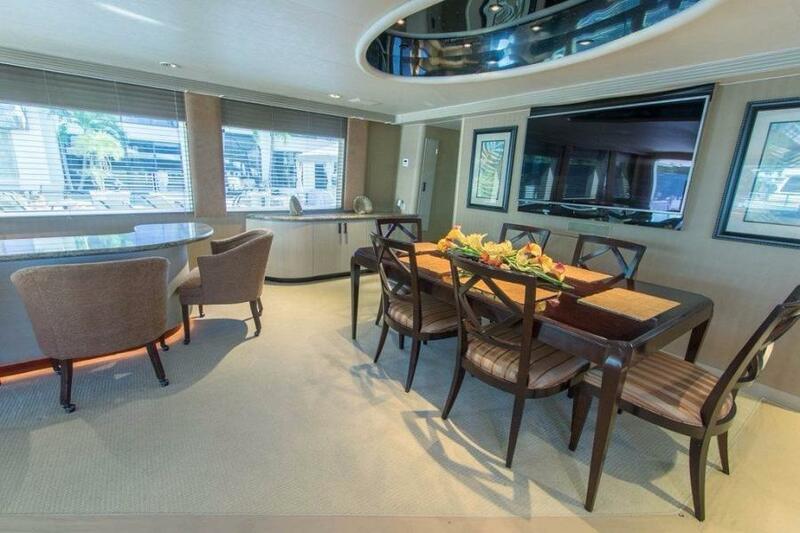 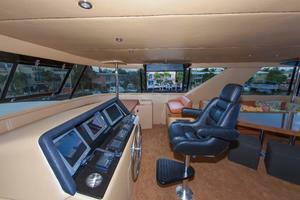 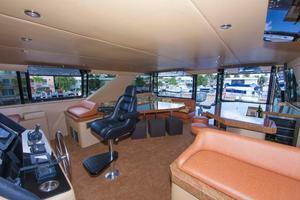 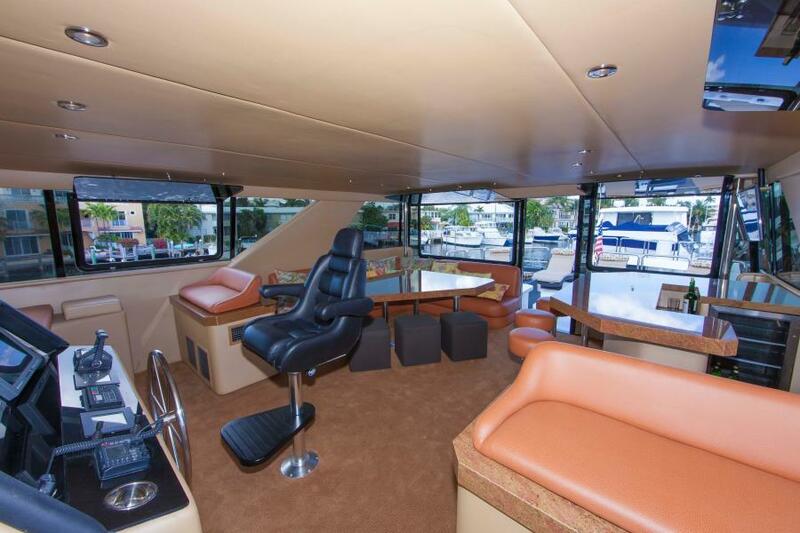 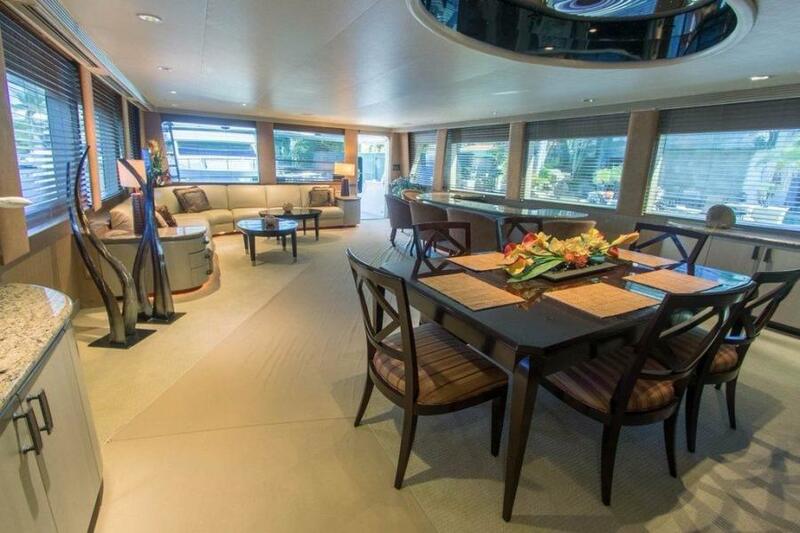 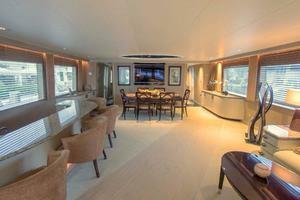 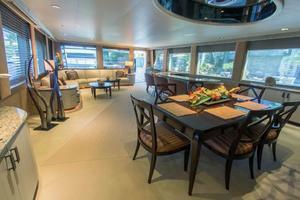 The MAIN SALON is just forward of the AFT DECK through a glass door. 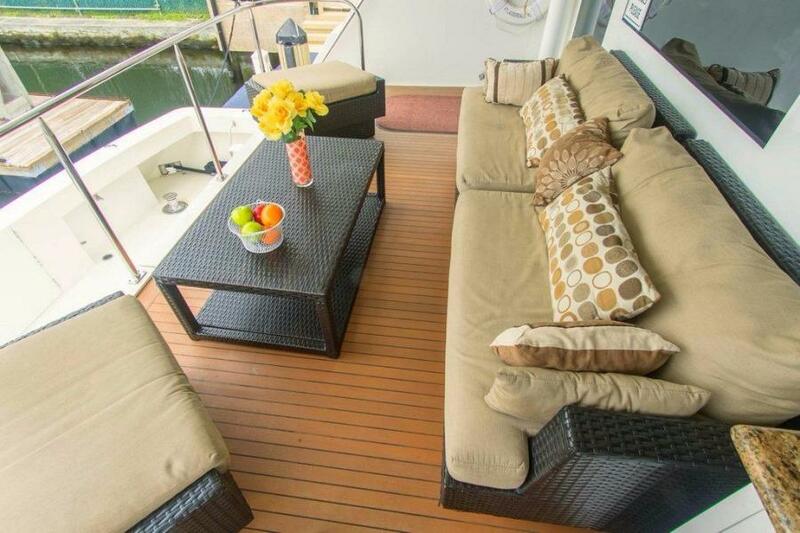 On the starboard side, as you enter from the AFT DECK, is a large L-shaped settee; forward, and to port is a curved bar, with a granite top that seats four. 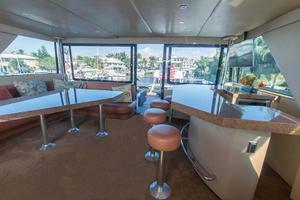 Just forward of the bar is the formal dining area, which seats eight. 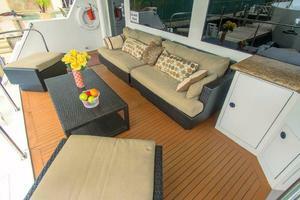 The MAIN DECK has light ash paneling and trim, with neutral colors and accents provided in the pillows, rugs and accessories. 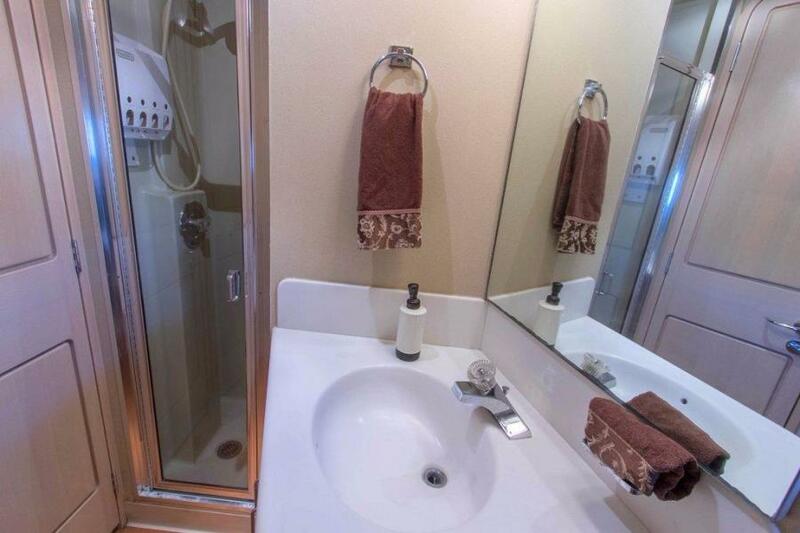 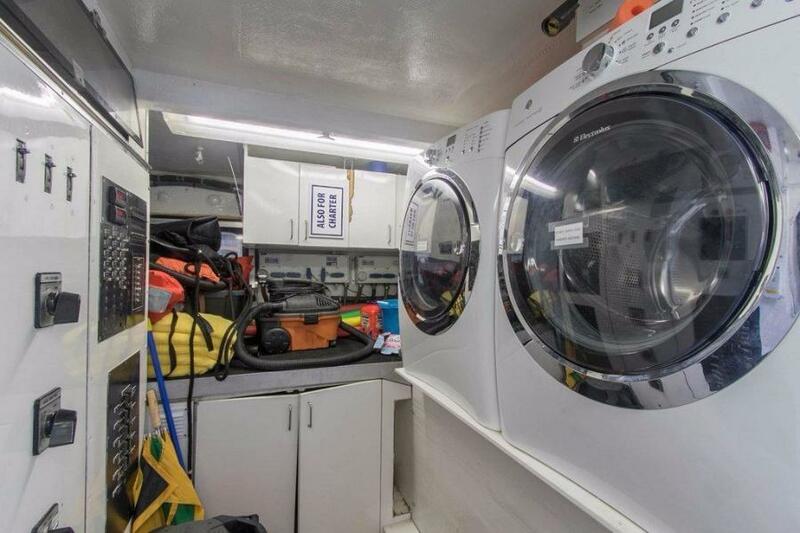 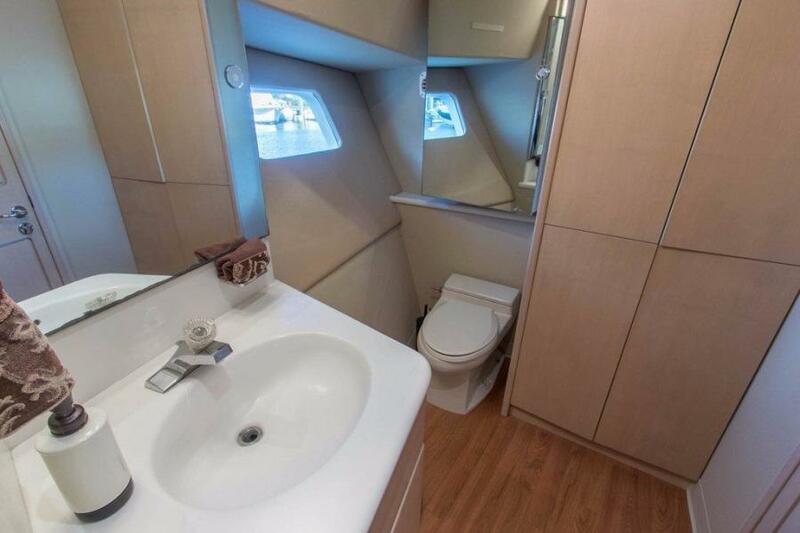 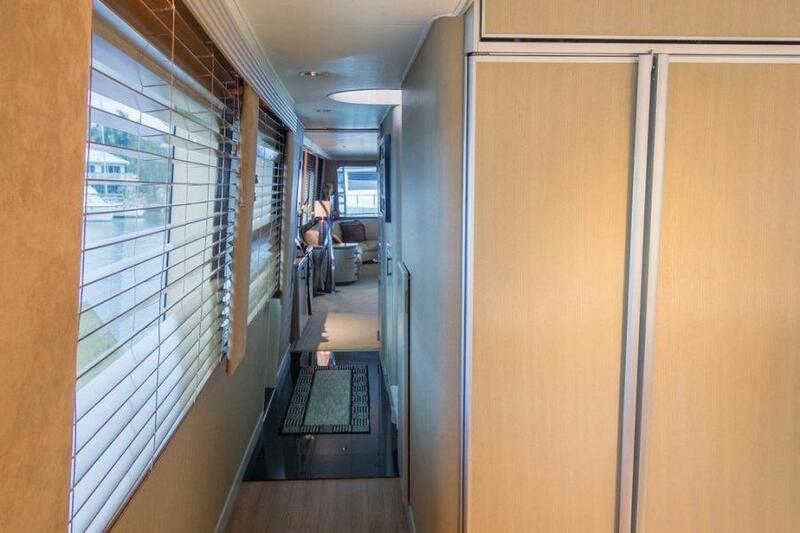 The POWDER ROOM is on the left as you walk forward through the starboard passageway toward the ... COUNTRY KITCHEN, which is a large, open, well-lit area that combines the GALLEY and the DINETTE. 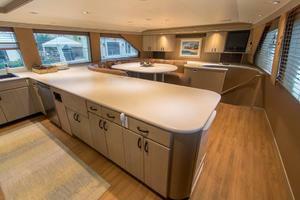 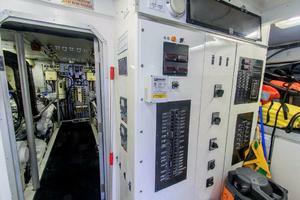 The GALLEY has been recently upgraded with new appliances (Kitchen-Aid and other) quality brands. The wood floors provide a nice contrast to the bright GALLEY cabinetry, with in white Corian tops, as well as the and SETTEE dining area, with its large oval Corian-topped table. 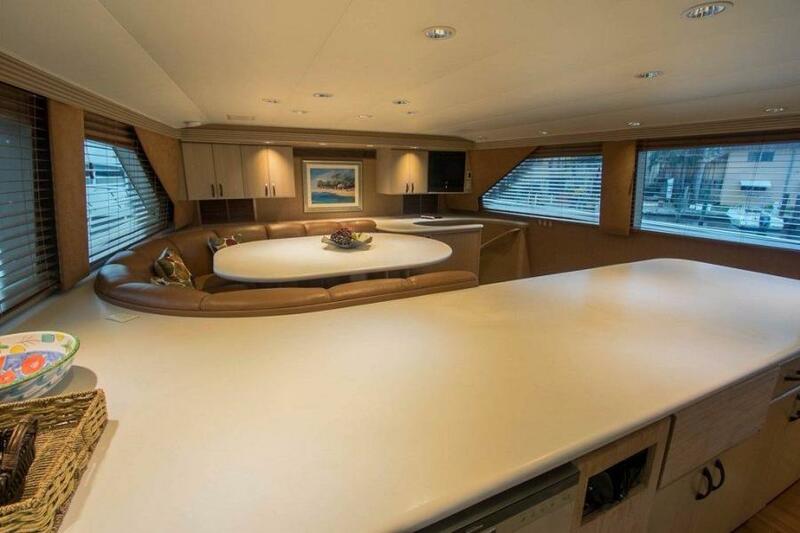 The CREW QUARTERSare accessed by going down a curved stairway on the forward starboard side of the COUNTRY KITCHEN. 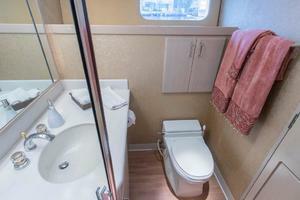 At the bottom of the stairs, and to port, is the captain's stateroom, which has a head and a double berth, with drawers, closet, and storage space. At the forward end of the CREW QUARTERS is V-berth for additional crew of two, with a separate head and shower, closet, and storage space. 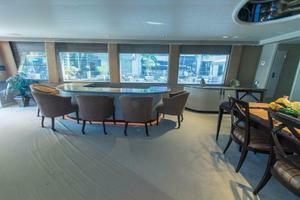 The MASTER & GUEST STATEROOMS are accessed from a curved stairway on the port, forward side of the MAIN SALON. 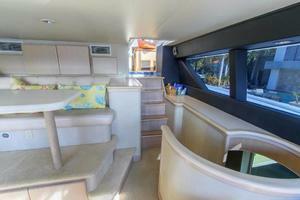 At the bottom of the stairs is a comfortable foyer, off of which are the MASTER STATEROOM, to forward, and the PORT and STARBOARD GUEST STATEROOMS, as you go aft. The full-beam MASTER STATEROOM has a king-sized berth, located on the center of the forward bulkhead, which is upholstered from the berth to the ceiling, with white ash night stands on each side. 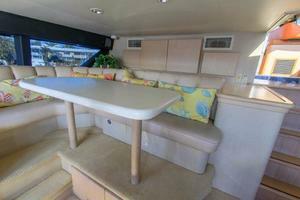 The starboard side features a built-in settee,cabinet, and vanity, while the port side has a full-length custom built-in white ash dresser. 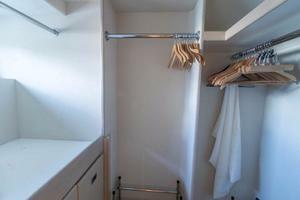 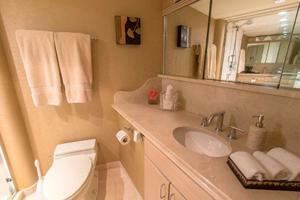 There is also a large walk-in closet, refrigerator, and a complete stereo system. 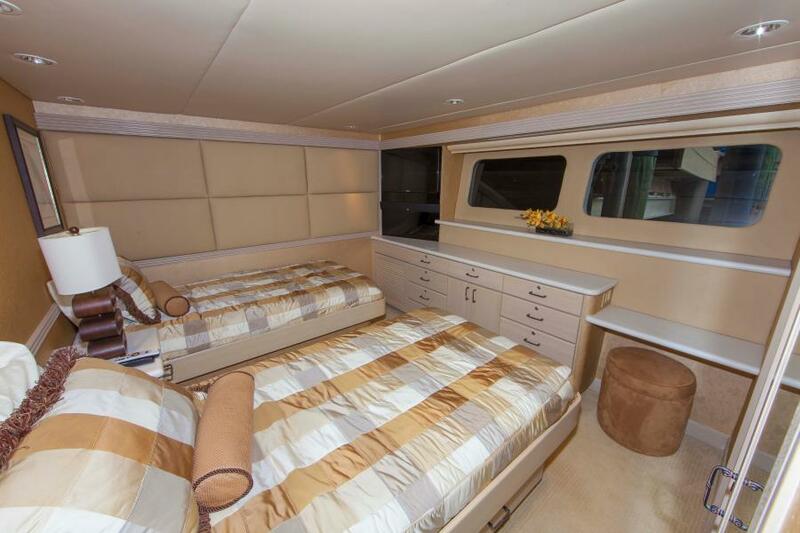 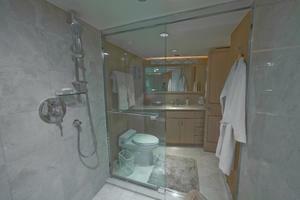 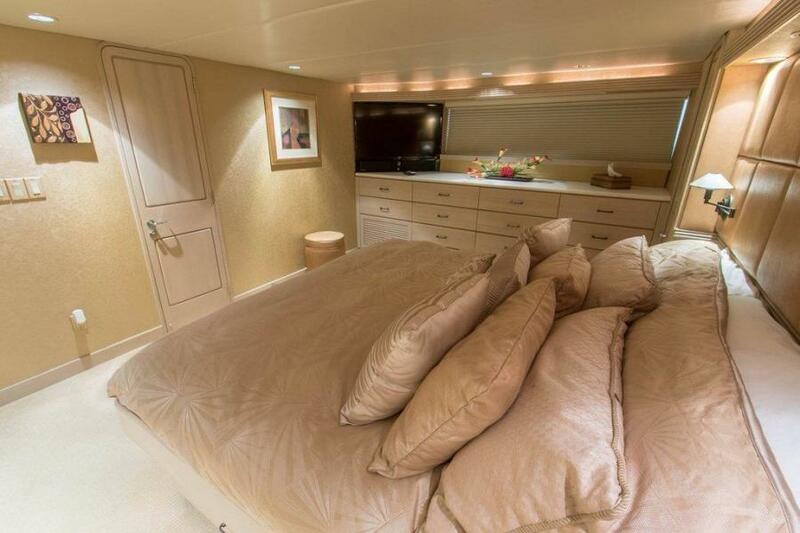 Forward of the master berth, with doors on the port and starboard sides, are the HIS & HERS HEADS, which are separated by a spacious shower, with glass shower doors on each side to give added privacy. 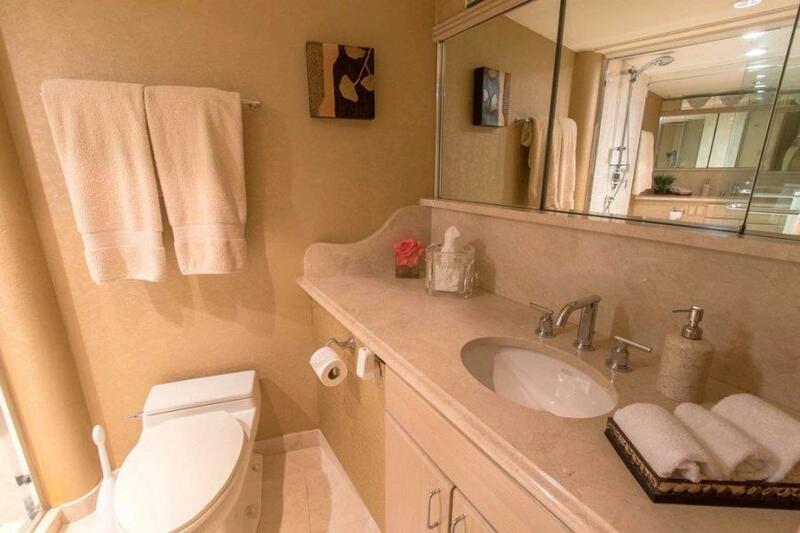 Mirrors are above each of the marble-topped vanities, and custom fixtures and faucets give these twin bathrooms a luxurious feel. 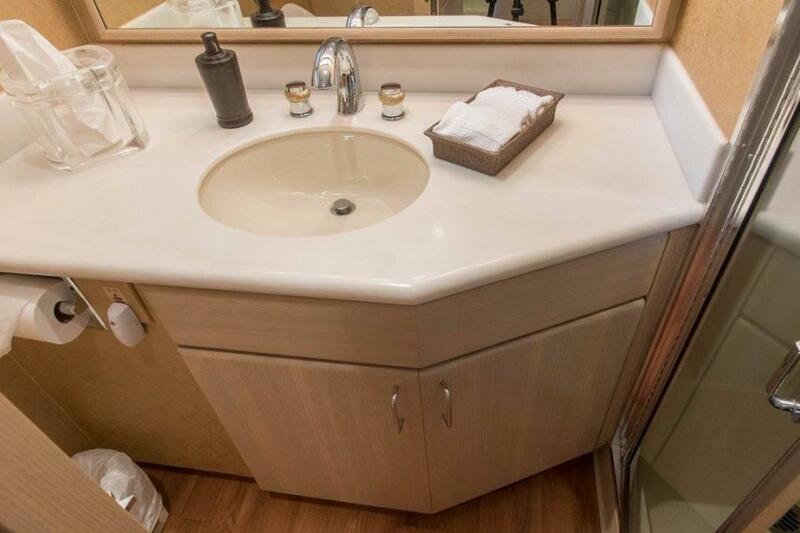 The STARBOARD GUEST STATEROOM is aft and has a queen-size berth, with dresser, storage, closet, and a full en-suite bath, with a marble-topped vanity. 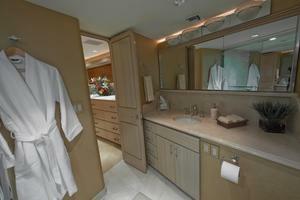 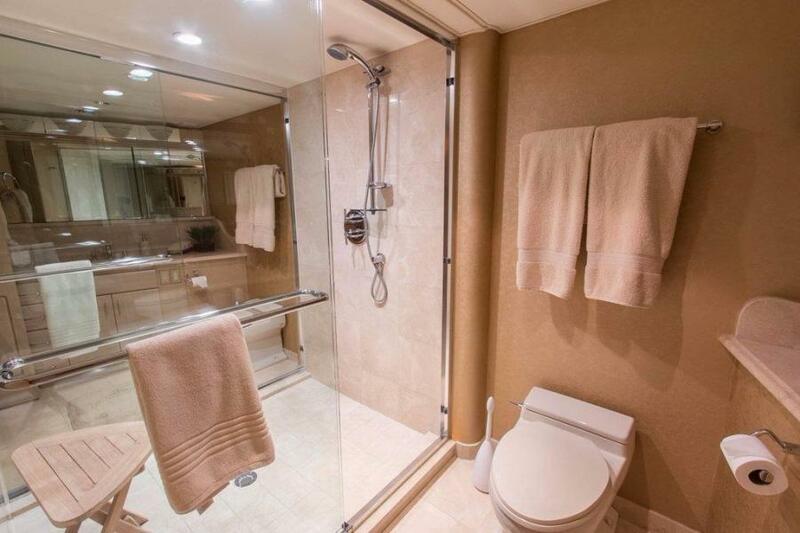 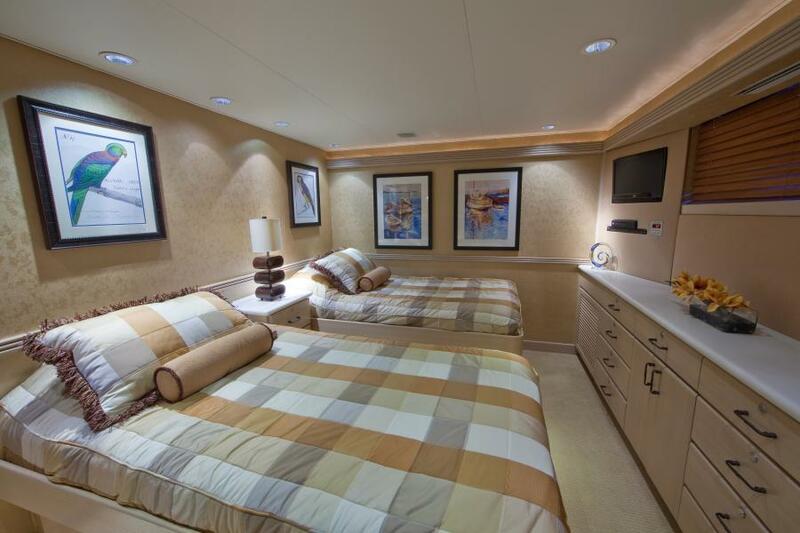 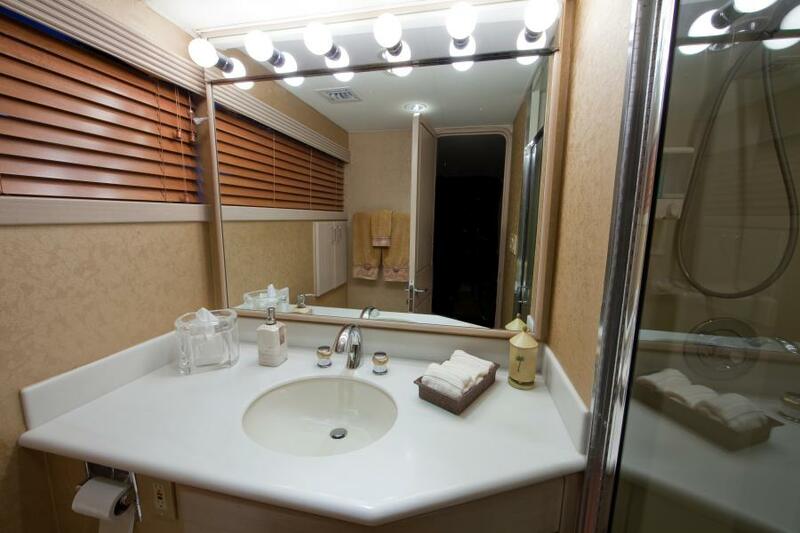 Across the hall to port is the PORT GUEST STATEROOM, which has twin berths, dresser, storage, closet, and an en-suite bath, with a marble-topped vanity.